This is the seventh post in the “Christa in the UK” series – stories from the year 2009 and 2010 during my time living, studying, working and traveling in a small beach town called Bournemouth in South West England. To be honest the first time I heard about Bournemouth was the first time I came across Bournemouth University’s MA Advertising and Marketing Communications program. I was doing an extensive research about master programs and universities and instantly got interested to the program. But.. I have never heard of the town before. So before deciding to choose the uni and ended up going there to study, I did a little research on the small town. My initial search landed me to a beach image. I was then sold instantly. It has always been in my dream to be able to live nearby the beach! (Well… Jakarta has Ancol beach but that’s totally different. It probably takes me over 1,5 hours from my house to Ancol!). Long story short.. I chose to enrol myself in Bournemouth University’s MA Advertising and Marketing Communications program and lived in Bournemouth for a year. 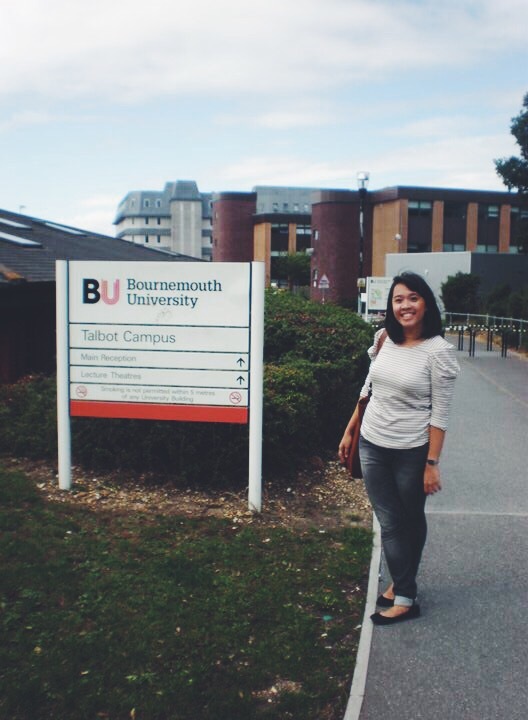 So, what is it like to live in Bournemouth as an international student? First, you are not alone. Bournemouth – thanks to its geographic location (a beach town so it’s really pretty, not too cold… and is relatively close to London), is a popular destination for students. In fact, based on my observation, most of the town’s residents are students and the elderly! Besides Bournemouth University, Arts University Bournemouth, and some colleges, Bournemouth is also home to some language schools so there are a lot of international students coming not only from Europe but Asian countries as well. 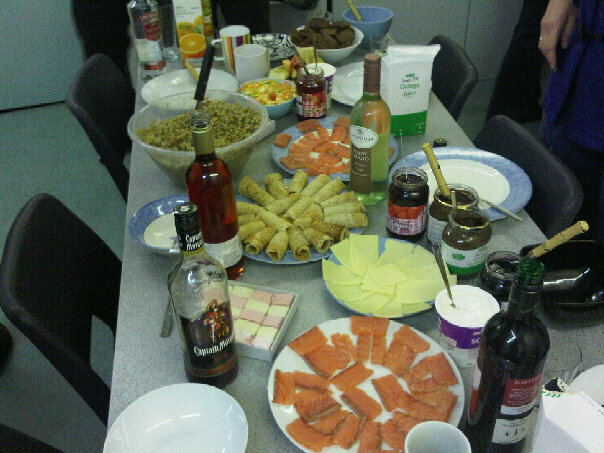 The abundance of international students means you get to enjoy a very diverse environment… in simple words it’s very fun! Second, your friends are from all over the world. Perhaps it’s just how the UK attract people from everywhere. But still related to point number one, In Bournemouth you got to meet people from various countries. By various I don’t mean “only” famous countries like France, Thailand, Germany.. but also from lesser-known African countries and even the Caribbean! I never thought that I would be friends with someone from Trinidad and Tobago – because at first I did not know where it’s located! but I did, and we remain friends until now. My classmates are from around 15 nationalities and I also met other friends from work or other activities with different nationalities. The experience was so eye-opening and it helped shaping the person I am today. Third, you can enjoy beach life. Yes, Bournemouth beach is one of UK’s top 10 beaches according to this source. But trust me it is really pretty. The beach is not too far from the University so if you want, you can spend some time relaxing at the beach after your classes. I used to go to the beach almost every day after I work on the city centre just to chill and enjoy the scenery. I only went home when it’s dark and it’s getting too cold :p It’s so nice and refreshing to live nearby the beach! Fourth, without you realising, you became an outdoor person. 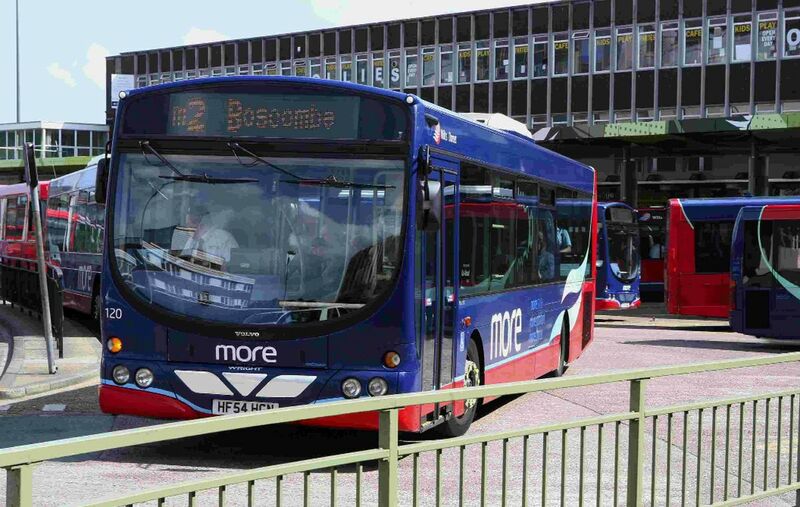 Well, since Bournemouth is a small town, and as a student I did not have a car, I was forced spent a lot of time walking or taking public transportation. 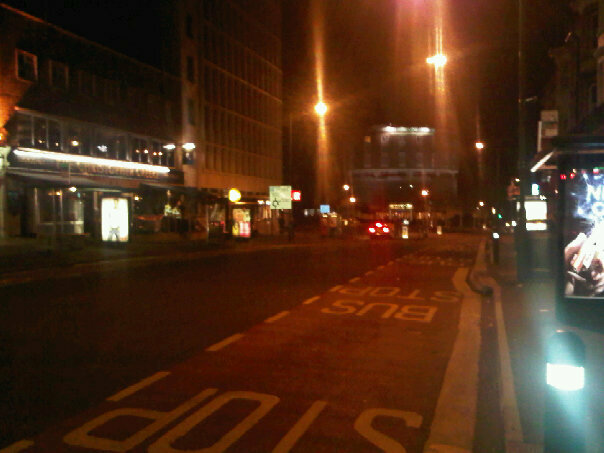 And because the bus system was not as established as London’s.. there were times when I had to walk to get to places. It was during my walks I got to enjoy my surroundings and learned to appreciate the little things. 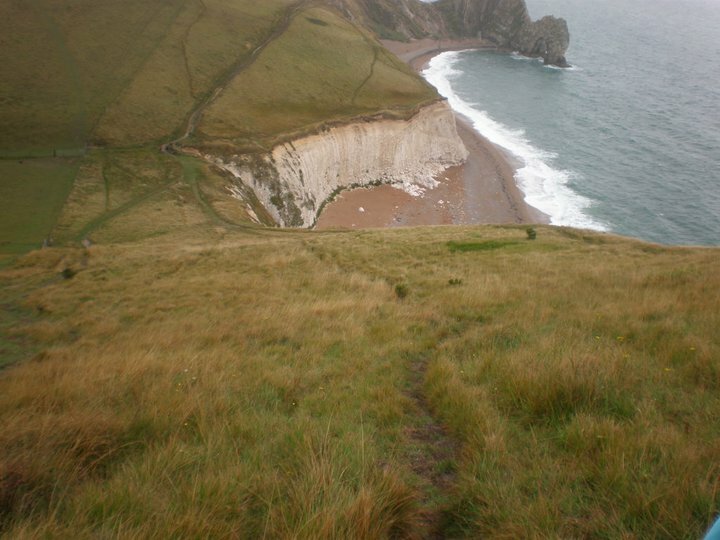 Oh, and it was during my stay in Bournemouth I went on my first ever trekking/hiking trip! This is the sixth post in the “Christa in the UK” series – stories from the year 2009 and 2010 during my time living, studying, working and traveling in a small beach town called Bournemouth in South West England. To be honest I was not much of a nature person prior to living in England. Lucky me when I lived in Bournemouth there was not much to do (refer to this post to know why), except exploring the nature. New Forest is a national park in South West England – a place widely known for its parkland and wildlife activities. There you can do all sorts of activities in the wild. For example, I took a walk with my friend and her host parents. You can also do horse riding, biking, camping, and there’s also a variety of attractions to see within the area. 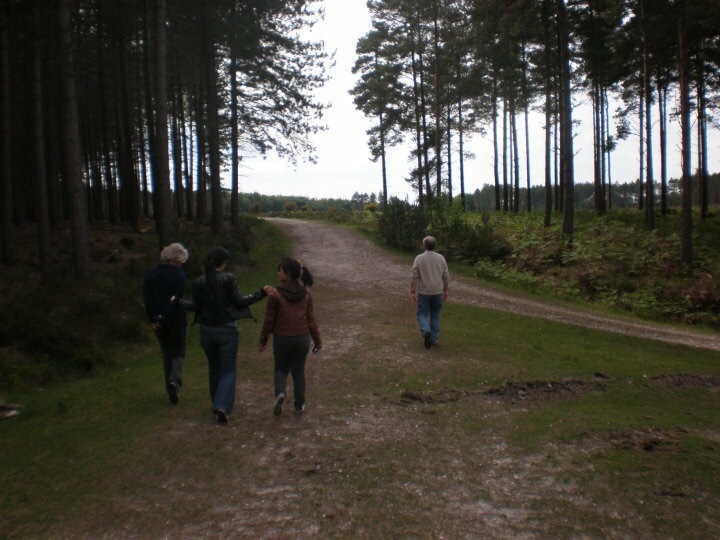 New Forest is not far from Bournemouth at all, it’s only around 30 minutes drive from the town centre. So it’s easily accessible. Unfortunately since I went with my friends, I am not too aware of the public transportation to get there. But have a look at this page if you are interested to go! 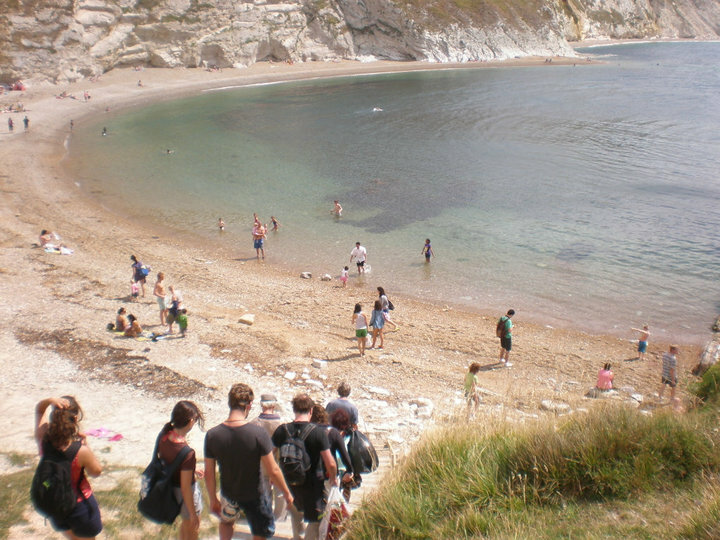 Swanage – a coastal town, is around 50 minutes drive from Bournemouth. It’s known for a weekend/holiday destination of people living in South of England (other than Bournemouth, of course hehe). 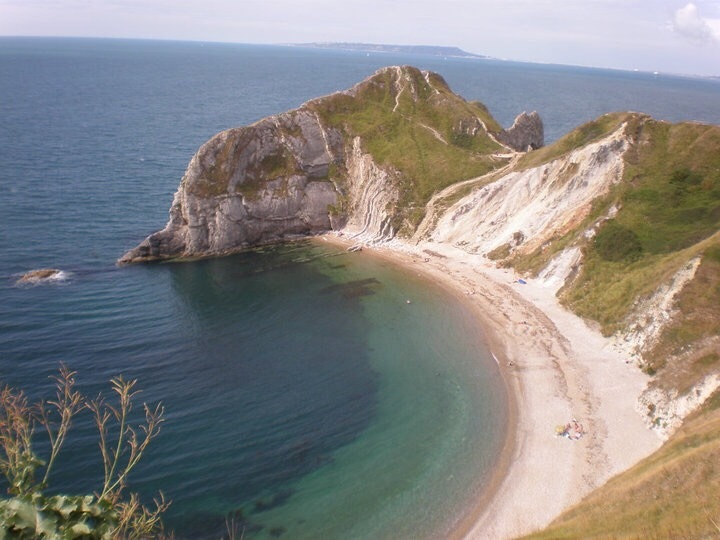 It is home to Jurassic Coast which I am going to explain just after this, and also a lovely beach. 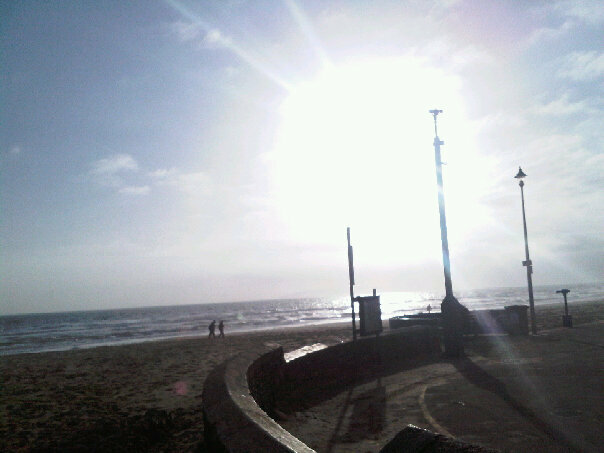 Personally, Bournemouth beach is still better than Swanage. Hahaha. I might be biased… :p. Anyway the beach is still not bad at all! 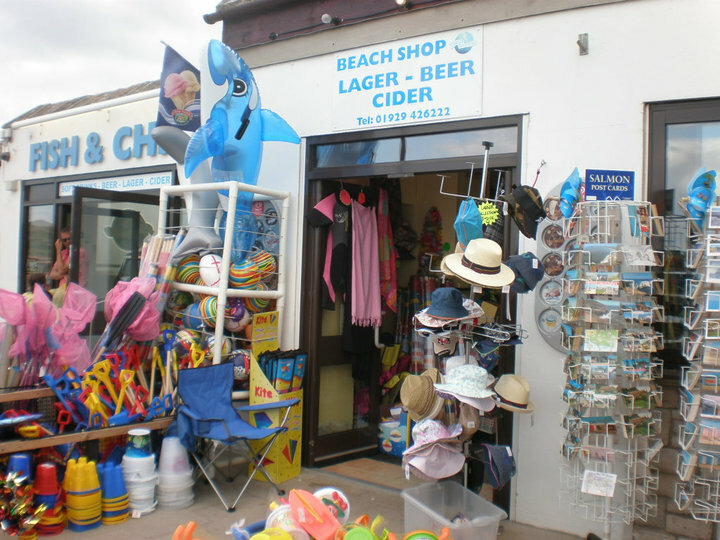 Plus there’s a variety of cute local shops next to the beach, something that Bournemouth Beach does not have. 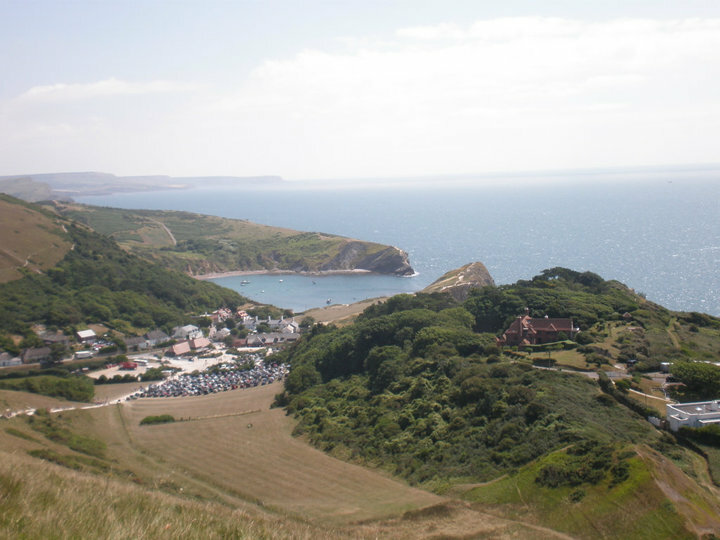 Jurrasic Coast is located very close to Swanage beach. 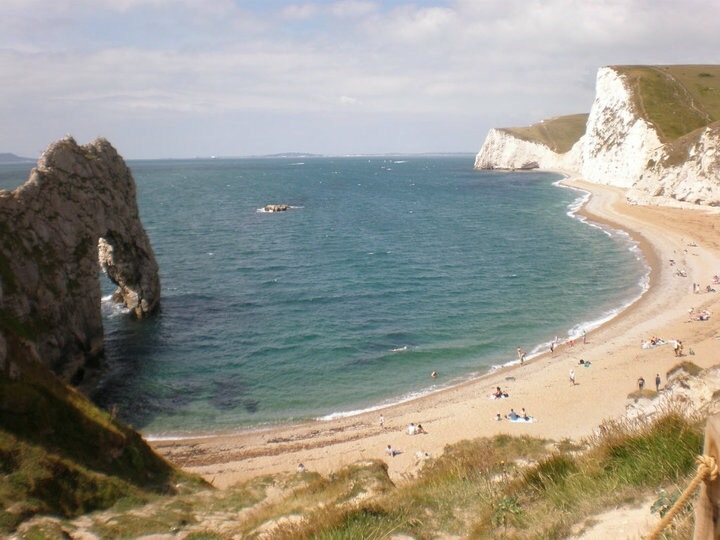 In fact, tours from Bournemouth usually involves going to bost places, plus Lulworth Cove and Corfe Castle (explained next) because they are located close to each other, all within an hour-ish drive from Bournemouth. To get to the coast and see the amazing view (note that the pictures were taken with my pocket camera and using no filter – really pretty, right?! ), you have to do a little bit of hiking. But, trust me, it’ll be worth it. But then even during that kind of weather, my friends successfully dragged me to go on a hike all the way until the peak! That is, one of my greatest achievements so far hahaha. I was so scared because it was showering and the wind was very strong, but I managed to hiked up to the top. Yay me! I hiked all the way to the top! 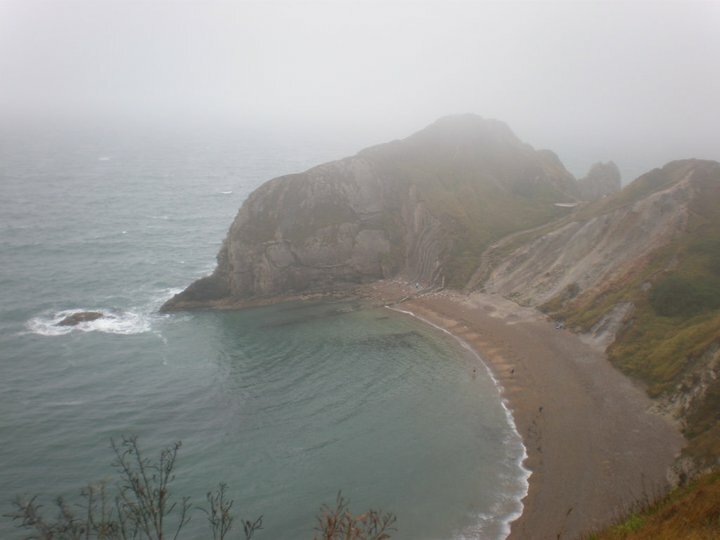 Within the area of Jurassic Coat is Lulworth Village. It’s a small village with a cove that has a very clear water. I did not remember doing much there but it’s still very interesting to do a little bit of sightseeing and enjoy the atmosphere of British coastal village. How often do you get to see a Castle? (remains, in this case). 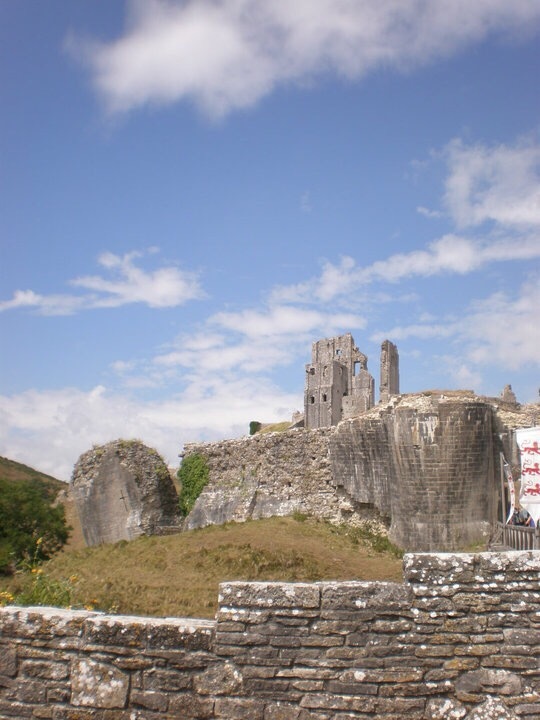 To me – I have never seen, yet been to one prior to living in England and that’s why I was so excited to go to Corfe Castle! The castle is a survivor of the historic English Civil War and I wish I can tell you more about it but I’m lacking the historical knowledge. However, for ordinary tourist like me, the castle is still very magical and interesting to see. 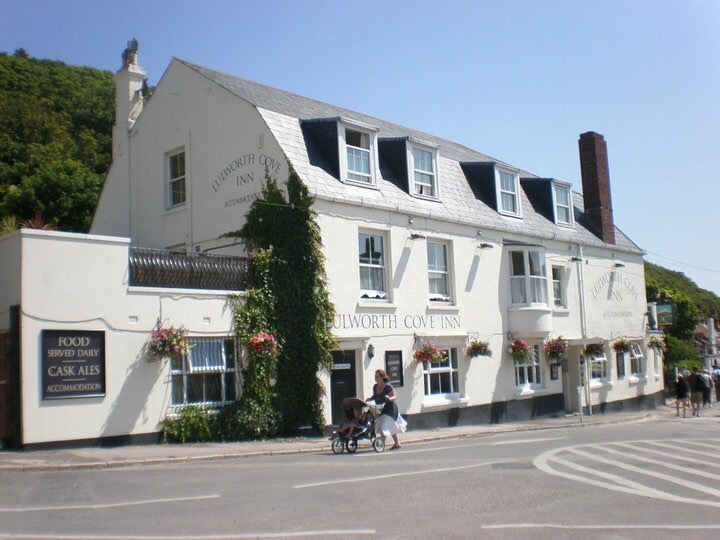 This is the fifth post in the “Christa in the UK” series – stories from the year 2009 and 2010 during my time living, studying, working and traveling in a small beach town called Bournemouth in South West England. I still remember my very first “Strategic Marketing and Branding” class at Bournemouth University. We were put in groups of 4 and had to discuss about the future of TV. I was the only Indonesian in my class and also the only Asian in that small group. As much as I was very eager to learn and keen to succeed, I was confused. I did not know what to contribute to the group’s discussion. I thought I am outspoken enough as a person, but at that moment I felt afraid to say a word. 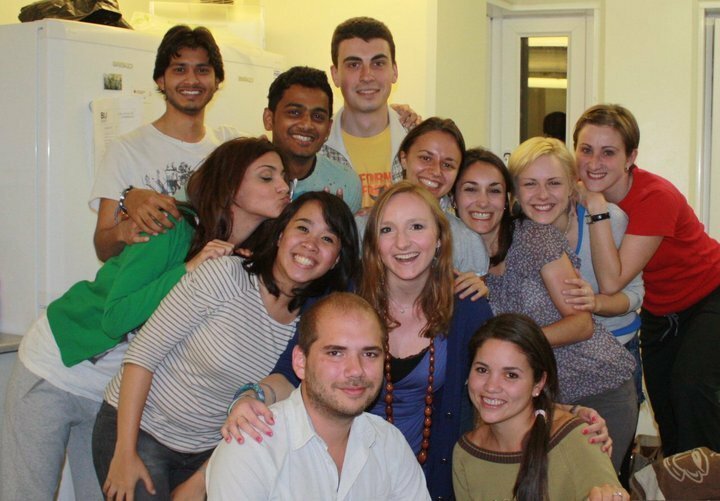 My group mates were European students, they appeared much more experienced and more confident. Of course they were more experienced, at least about the subject we were discussing. Back then in Indonesia TV was still the biggest media. It was still growing in Indonesia, yet in that warm classroom we were discussing about what is next after TV, how can TV survive the future in Europe. They are Europeans, so they must know what was being talked about. They were able to express their opinions and contribute to the discussion. Me? I was struggling to speak, I felt shy, I felt incompetent. At the end of the session, I finally managed to express my confusion to my group. I was able to explain the situation in Indonesia, where I came from. I managed to overcome my struggle, but I have to admit that it was quite a rough start to my journey in getting a masters degree. Btw, not long ago I had the opportunity to meet with EF‘s country manager in Jakarta. EF may be familiar to some of you for its language schools. But little did I know that EF also means Education First, a worldwide organisation which offers various study programs in many countries (They also run an English program in Bournemouth! 😀). What interests me is that they have a University Preparation program which can help future students to prepare before going to study abroad. Author ChristaPosted on January 10, 2015 May 30, 2016 Categories Europe, Partnership, Story, study abroad, TravelTags Christa in the UK, England, Sponsored, study abroad, throwback11 Comments on Challenge Accepted! 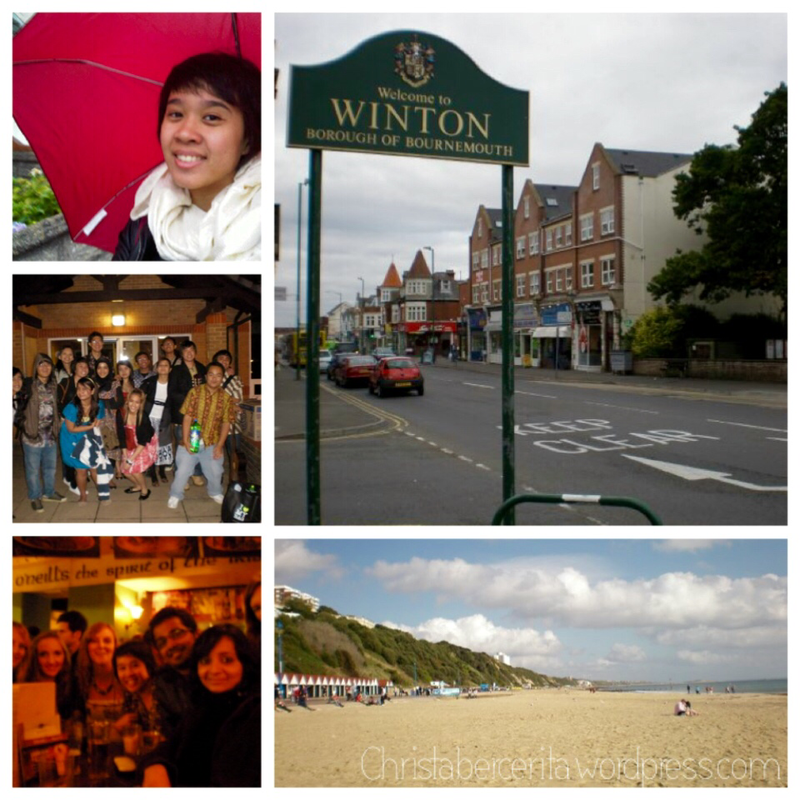 This is the third post in the “Christa in the UK” series – stories from the year 2009 and 2010 during my time living, studying, working and traveling in a small beach town called Bournemouth in South West England. Moving to another country of course made you have to deal with differences. Especially when you are moving to a city which in size is a lot lot smaller than where you previously lived. Bournemouth – as I mentioned several times before, is a small town. It’s not even half the size of Jakarta. So when I moved there from Jakarta, I had to deal with differences. Here’s some surprising and memorable ones. 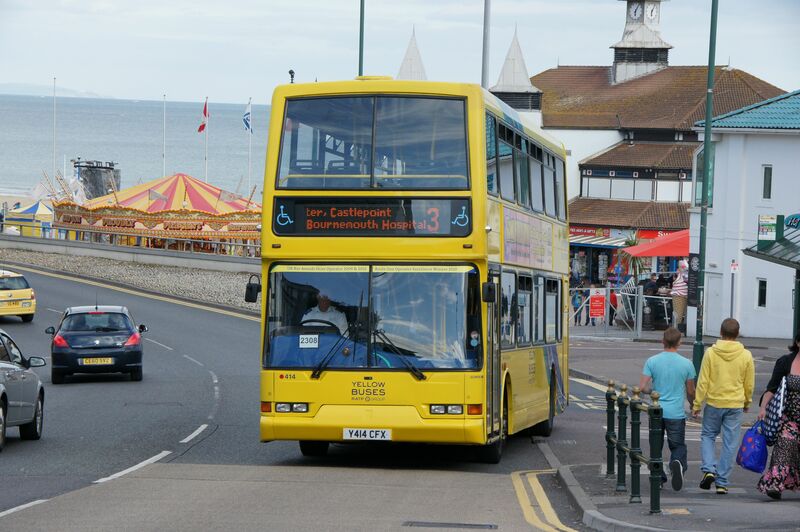 Unlike in Jakarta, People in Bournemouth use their public transportation – in this case, bus, to get around town. They are not the best, I have to say, because sometimes they got delayed. Sometimes it’s hard to get from a point to another without having to change buses.. but in overall, the public transportation works well. There were clear schedule which you can access in every bus stops and you can also find it online. This was not the case in Jakarta (although there are improvements as we speak). Okay I was considered lucky because I had options, but I tried to avoid using public bus in Jakarta. Why? I just could not work out how they operate! One day the bus could show up at 7, the next day show up at 7.15, the next day show up at 6.50! Come on.. how should I work out my schedule then? 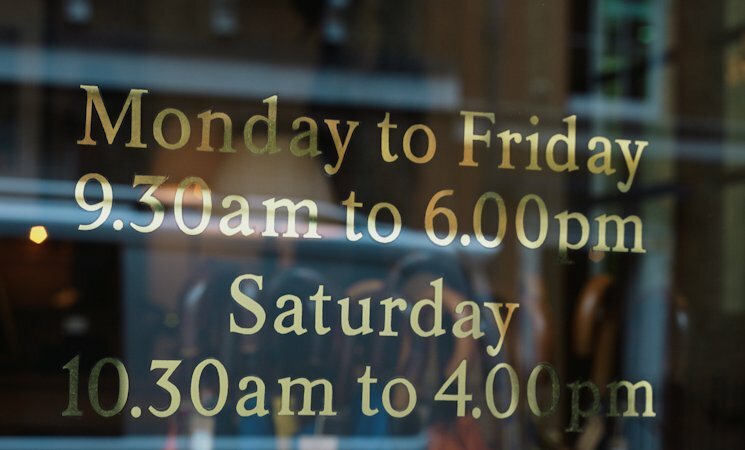 Most shops close at 6PM, and they close on Sundays! It’s either labor and operational cost are so expensive in England, or people just don’t like to shop.. but when I first got there, I found it very weird that most shops close at 6PM. 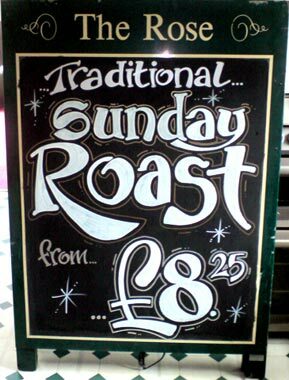 They close even earlier on Saturdays, and fully closed on Sundays… especially in a small town like Bournemouth. Some big supermarkets like ASDA do close a little bit later though, probably around 8PM.. but that’s it. Don’t expect to be able to shop after 8PM, and forget about midnight sale, hehehe. In a way, this was good for my wallet as I did not have the chance to shop after finishing my classes, and.. some bakeries or grocery shops tend to have 50% discount for fresh items between 5-6PM, right before they close – just the time when I was going home! Hooray! I think the condition is different in bigger cities like London, for example. When I went there, I could shop in Oxford Street until at 9PM, similar to shopping experience in Jakarta. People do things on the grass! Oh, this is one thing that really surprised me. Though moving to Bournemouth was not my first time going abroad, but I never really noticed this. In Bournemouth (and almost everywhere else I’ve noticed after I lived in Bournemouth), people are able to do things on the grass! Why is it so surprising to me? Well.. because.. I bet those of you in Indonesia has seen this sort of picture before! Yep, I don’t know why but we are not allowed to step on the grass! Especially in parks! This messed up my logic because I thought we are supposed to do things on the grass? Like, I don’t know.. having a picnic? sitting around? studying? relaxing? Yet we are not even allowed to step on it. In contrary, Bournemouth has a really nice garden right in the middle of the town centre, en route to the beach. 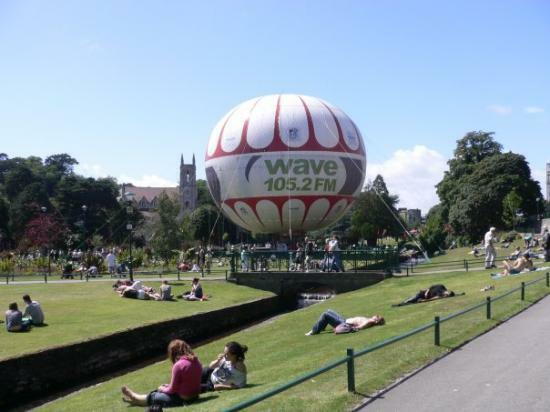 It has a tourist attraction as well, called the Bournemouth Balloon. As you can see in the above image, the garden looks really nice, right? It’s also very nice to sit there, on the grass, just enjoying your day. Of course it can get really cold during winter days (bear in mind we’re talking about British weather here! ), but I loved going there any other times of the year, especially during summer days, just to relax and unwind. I went there for picnic with my friends too. Now that’s what the gardens are supposed to be there for! For the people to relax! 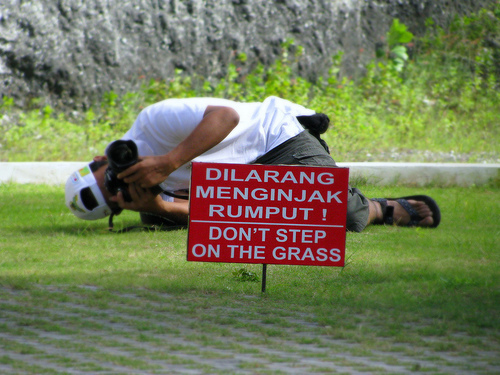 Now I really don’t understand why we are not allowed to step in the grass here in Indonesia.. Why is it there, then? just for aesthetic purpose? Speaking about summer, there’s a particular tradition that the Brits love to do, and I personally really love as well. It’s BBQ! Since Bournemouth has a pretty nice beach, people often do BBQ on the beach. Or the garden. Or their backyard. Basically everywhere, during sunny summer days. But what about the props? Do we have to carry BBQ grill everywhere? 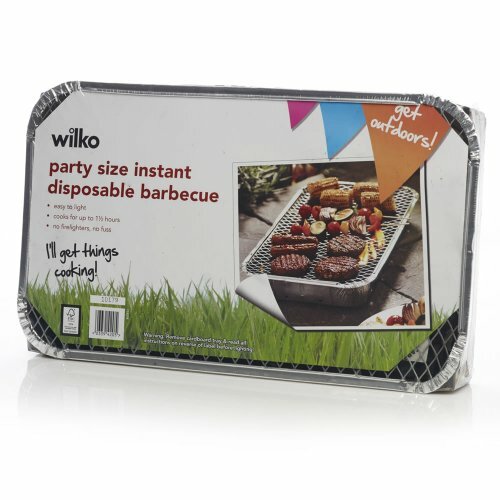 Worry not, there’s what they call Disposable Instant Grill! I haven’t seen this everywhere prior to coming to Bournemouth. Really. You can purchase it on every supermarket, even mini markets, for as cheap as £2 when I was there. Me and my classmates love to do BBQ on the beach, we simply purchased the instant grill, the meats, condiments, etc, en route to the beach. This is what it looks like. Have you seen it before? I asked my boyfriend in the US and he said he never even heard of this kind of thing. I think it’s a British thing? Prior to coming to the UK, all I knew about Pubs or Bars is beer. Hahaha. I mean, I think it’s just a place to drink and get drunk. Little did I know that British pubs serve food! Some are actually delicious, I must say. I hate the weather and I want to go home! 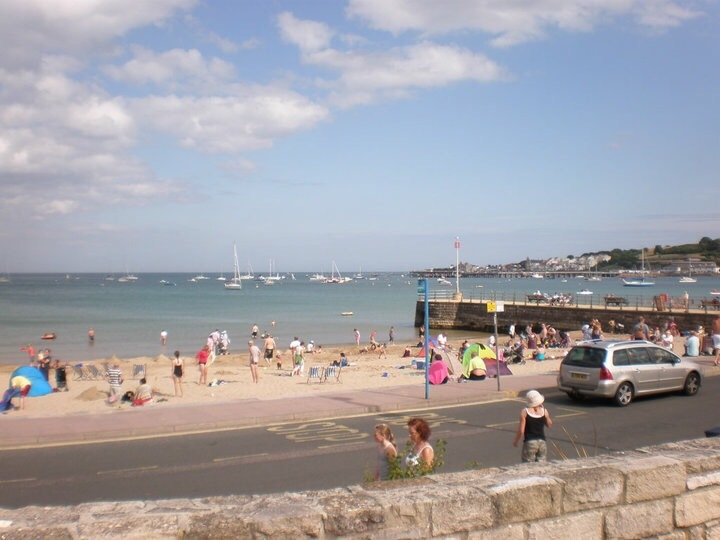 This is the second post in the “Christa in the UK” series – stories from the year 2009 and 2010 during my time living, studying, working and traveling in a small beach town called Bournemouth in South West England. It was early September when I arrived in the soil of England, all by myself. I remember feeling very optimistic, very excited to start my new life. Unfortunately, due to visa conditions, I arrived a week later than I was supposed to, thus making me missed orientations week and only had a weekend to settle before school started. Worry not, through the help of Facebook I was able to make some friends before school started.. 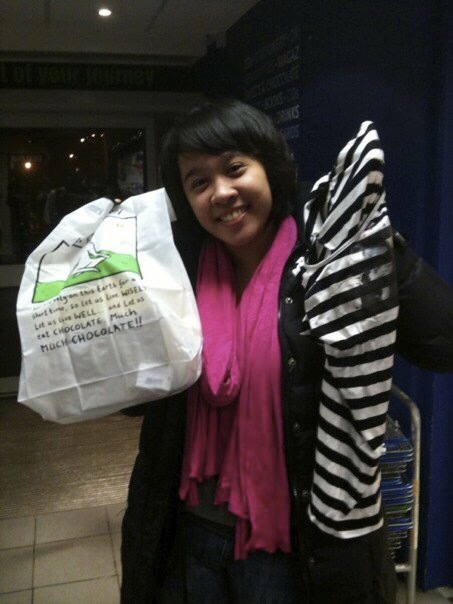 I found 3 other Indonesians in my year (there were only 4 including myself) and one of them – Andrew, pick me up at Bournemouth Coach Station after I spent 2 hours coach ride from London. He helped me find my house and carry my big suitcases (thanks Ndrew! hehe), and later on we met with the other 2.. Poppa and Yovita. Except Yovita who were an undergrad student in her final year, the three of us were postgraduate students. 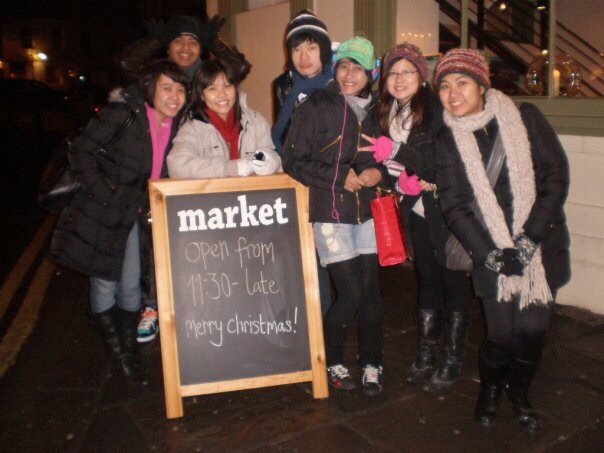 Later on, I also found out that there were a total of around 20 Indonesians in Bournemouth.. some Bournemouth University students as well but started school the previous year, some working already, and a family with 3 kids. I think the amount of Indonesians were just the right amount. Not too little, not too many… A lovely community. I was happy and not worried that I would get homesick. Then came the first weeks at school. My class schedule was looking great, I loved the lectures, it was not hard to make friends and I felt like I’m adapting well. I was excited. On my first weekend, I went out to the beach during the day and spent the night painting the town red with my class mates. 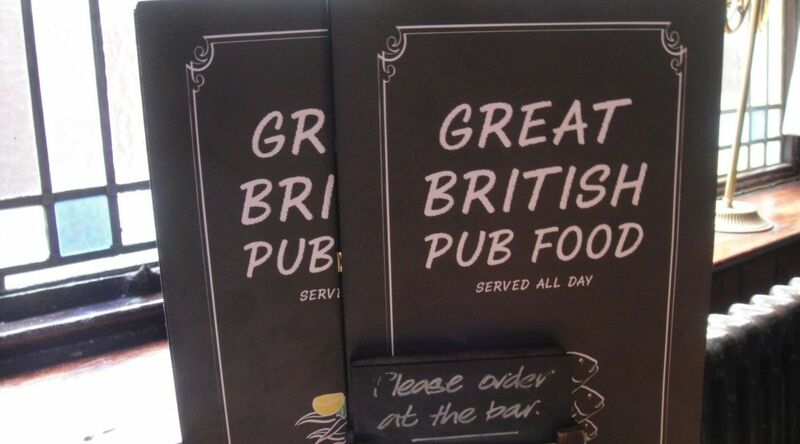 I had my first experience of hanging out in an authentic British pub, had fun and made more friends. Again, all seemed promising. I (thought) I was adapting well. Until… I experienced my first British rain. Oh, the lovely rain. I still remember it clearly, even after all these years! I was on my way home from the university; it was around 4 in the afternoon. I was carrying two bags.. one for my stuffs – laptop, books, wallet, etc – and one was my shopping bag – I made a stop at the supermarket to buy milk. The weather seemed pleasant at first. I was halfway to my house. Then, out of the blue.. it rained! I immediately grabbed my umbrella and tried to walk faster so that I could reach my house safely. Unfortunately my umbrella was not big enough so I still got sprinkles of water here and there. As if that’s not enough.. suddenly it became soooo windy. I was having trouble in keeping balance of my tiny umbrella and walking (plus carrying two heavy bags) at the same time. The wind didn’t want to stop, though. I felt it became stronger and stronger until my umbrella got broken… and there I was, soaking wet and freezing. I was lucky that my bag was somehow waterproof that my laptop and books were not wet… but everything else (read: me) were. When I finally reached my house, I couldn’t help myself from crying. Never in my life before I had to experience being wet from the rain. Everything else went downhill from there. The homesickness started to kick in – I felt miserable, I missed my family, my friends, my (then) boyfriend. I was freezing and I hated the weather, I wanted to go home. I felt like coming here was all a mistake. It was midnight in Indonesia so I couldn’t call anyone.. and kept crying (even in the shower! Hahahahaha so dramatic) until I managed to cook myself a bowl of Indomie. 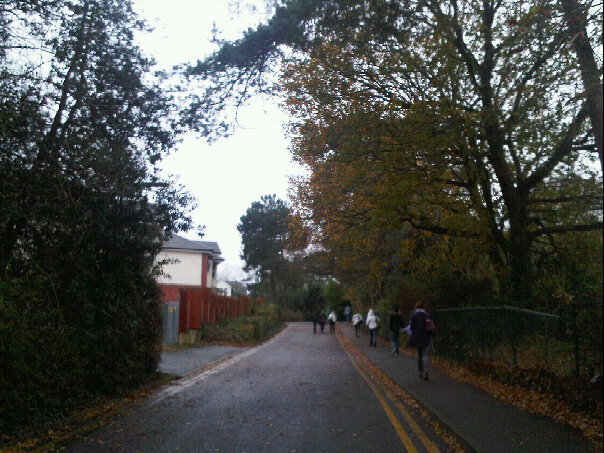 Author ChristaPosted on October 14, 2014 May 30, 2016 Categories Europe, Story, study abroad, TravelTags bournemouth, Christa in the UK, flashback, study abroad15 Comments on I hate the weather and I want to go home!